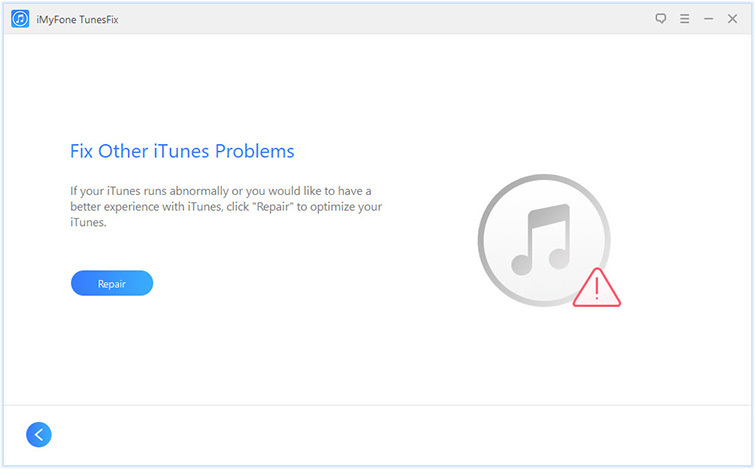 iTunes error 1600 can occur when you are updating, downgrading, or restoring your iDevice via iTunes. This is a very common error and it could occur due to a number of reasons. According to Apple, error 1600 is associated with security software and firewalls installed on your PC/Mac. Fortunately, there are solutions available. iMyFone TunesFix is a professional iTunes repair tool that has been developed to help iOS users solve various iTunes-related issues and errors (such as error 1600). TunesFix automatically scans for iTunes-related problems at launch and allows you to fix them via Repair button. If for some reason errors are not detected via automatic scanning, then there are several manual repair modes that you can use to solve the issue. To fix error 1600, you will need to use Fix Other iTunes Problem mode of this software. Scan and repair 100+ iTunes problems conveniently. Powerful automatic iTunes scanning that can detect virtually all iTunes-related issues quickly. Several manual iTunes repairing modes that target common iTunes issues. You can use the manual modes to quickly diagnose and solve a problem. Optimize iTunes’ performance via advanced cleaning modes. Completely uninstall iTunes and its related components via Full Uninstall mode. This mode also erases all the traces of iTunes which is best for troubleshooting purposes. Step 1: Launch TunesFix on your computer and wait for its automatic scanning process to complete. Step 2: Once the automatic scanning is completed, fix any detected problems by using the Repair button. After that, you will see the home screen of the software. Step 3: Now select Fix Other iTunes Problems mode from the home screen of TunesFix. Step 4: Click the Repair button shown on the next screen. iMyFone TunesFix will start the repairing process. Internet connection may be required. Just because your iDevice gets detected by iTunes doesn’t mean your USB connection is working correctly. Sometimes the device gets detected but the problems occur when you perform certain activities (such as restoring, updating, or downgrading device’s firmware). So, it would be a good idea to check your USB connection and try other ports of your computer. It is also recommended that you try a different USB cable for connecting your iDevice to your computer and see if the problem is solved. iTunes updates bring new features and they also include bug fixes that can solve problems such as iTunes error 1600. So, if you are not using the latest version of iTunes then it is recommended that you update it and then try to restore, update, or downgrade your device’s firmware. It is likely that the problem will be solved after updating iTunes. Step 1: Launch iTunes on your computer. Step 2: Navigate to Help > Check for Updates. 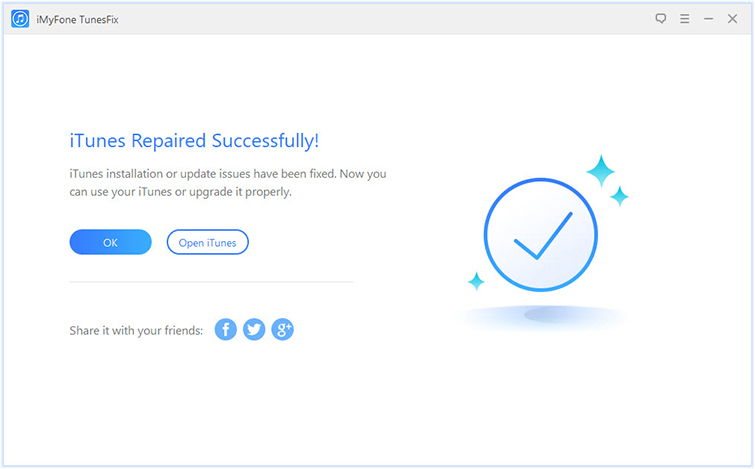 Step 3: If there is an updated version available, then follow the on-screen instructions to update your iTunes. 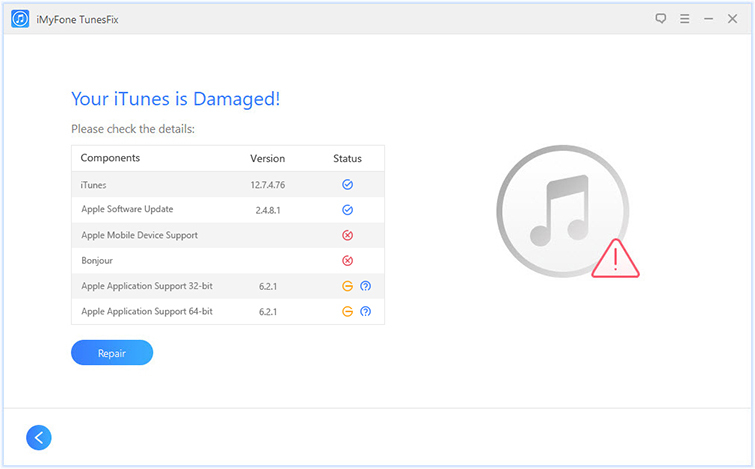 If the standard method of updating, downgrading, or restoring an iDevice is giving iTunes error 1600, then it is recommended that you try to perform the above-mentioned processes via DFU mode. Step 2: Connect your iDevice to your computer via USB cable. Step 3: Now turn off the device and use the appropriate combination of buttons (varies from iDevice to iDevice) to put it in the DFU mode. Step 4: iTunes will recognize the device when it is in DFU mode. Now simply click the OK button and proceed to the restoring process. It should be completed without any errors. iMyFone TunesFix is a powerful iTunes repairing software that can fix many iTunes-related errors including iTunes error 1600. Apart from error 1600, you can use TunesFix to fix iTunes error 1601, 1602, 1603, 1604, 3194, and more. These errors occur when you are trying to update or restore your iDevice via iTunes. There are other unique errors that can be fixed by TunesFix. These include iTunes error 8003, error 29, iTunes uninstall error 2330, error 11, error 11503, error 9006, iTunes error 9, and many more. In conclusion, iMyFone TunesFix is the ultimate solution to all your iTunes-related problems.